It was not inevitable that World War II would end as it did, or that it would even end well, argues the author of April 1865 and The Great Upheaval in this chilling account of a momentous year. In 1944, the Allies might have been stymied, and Hitler might have cemented his waning power; instead, he was successfully overthrown, but at a fateful cost. 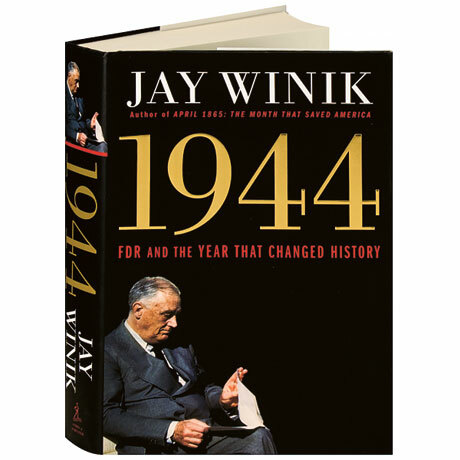 Jay Winik takes us into the Roosevelt Administration, where FDR was at the pinnacle of his wartime leadership even as his health was rapidly deteriorating. Faced with mounting evidence of the deliberate and accelerating genocide of Europe's Jews, FDR was forced to decide on their fate: Was winning the war the best way to rescue them? Was a rescue even possible? Or would it get in the way of defeating Hitler? Winik chronicles these events with moral clarity and a sweeping perspective, offering a moving appreciation of the extraordinary struggles of the era's outsized figures.